It can be a very overwhelming thing when getting started with golfing, with so many rules to understand, a wide range of clubs to choose from and the golfing lingo that can easily and instantly make you feel like you’ve just stepped onto foreign land. So if you’re unsure about birdies, bogey or bumps-and-runs then stick with me, because I speak the lingo and I love to share! Stick around for some of the most insightful tips a golfing newbie could come across. While you probably have a decent understanding of the game from spectating, there are probably a number of things you don’t know – the same way that someone who often indulges in Caulfield Cup betting still may not know how to ride a horse. Thus, we need to take a good look at the fundamentals in golf, such as the setup position, which is one of the most commonly overlooked aspects in terms of beginners and their quest for a successful full swing. In fact, there are 3 benefits that you will uncover should you choose to focus on your setup. Let’s take a look at what these are. The first benefit of implementing a good setup position in golf is the fact that it will help you maintain a good balance throughout the duration of your swing. If you’ve ever tried a full swing without considering your setup position you’ll know just how easy it is to lose your balance. The very best players in golf are balanced from the get-go and right through to the finish, which is ultimately what allows them to accurately hit the ball in the middle of their clubface. 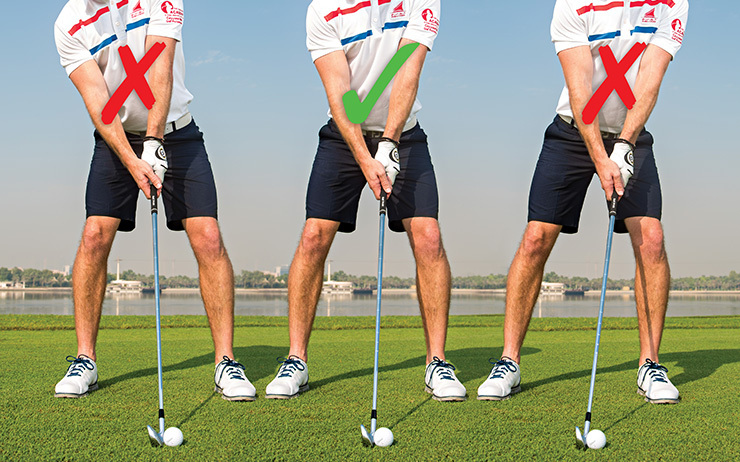 If you want to remain consistent in striking the ball, then you need to ensure your setup allows you to do so. The second thing to consider is the fact that a good golf setup actually allows you to create and maintain both the power to drive the ball and the control in terms of the shot’s direction. When it comes to obtaining control, there are 2 very important pre-swing elements that you will need to master. This includes focusing your body alignment and the position of the ball before you take the shot. Essentially, the body angles that you choose to create at the start will directly affect the angle that you swing the club at and the path that it then follows. The last and far from least point to take notice of is the fact that a good setup has the ability to create a great and lasting impact. Simply put, the setup you implement before your shot will put you in an initial position of advantage. Think about the fact that your swing will evolve from your setup, so if you want to attain a great impact position then you can simply ensure that you keep impact in mind in your setup. You’re ultimately stacking the decks in your favour when you understand the importance of your setup.